What characters say and do often reflects who they are. What do characters in your child's books say and do to reveal their traits and beliefs? With clear speech and thought bubbles, this easy-to-use graphic organizer will help your child identify these aspects about book characters. 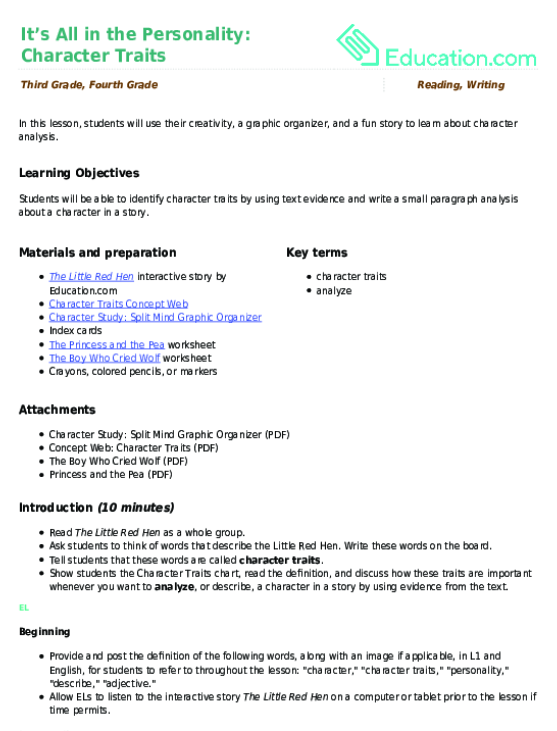 Use this graphic organizer to support your students as they describe characters, settings, and events in detail, using specific details from the text.